The stock market is soaring and the economy, even though we are in the midst of one of the longest expansions on record, continues to chug along. This might lead you to think that all is fine with the world and the growth will continue for years to come. Scratch below the surface and there are several reasons to be worried. 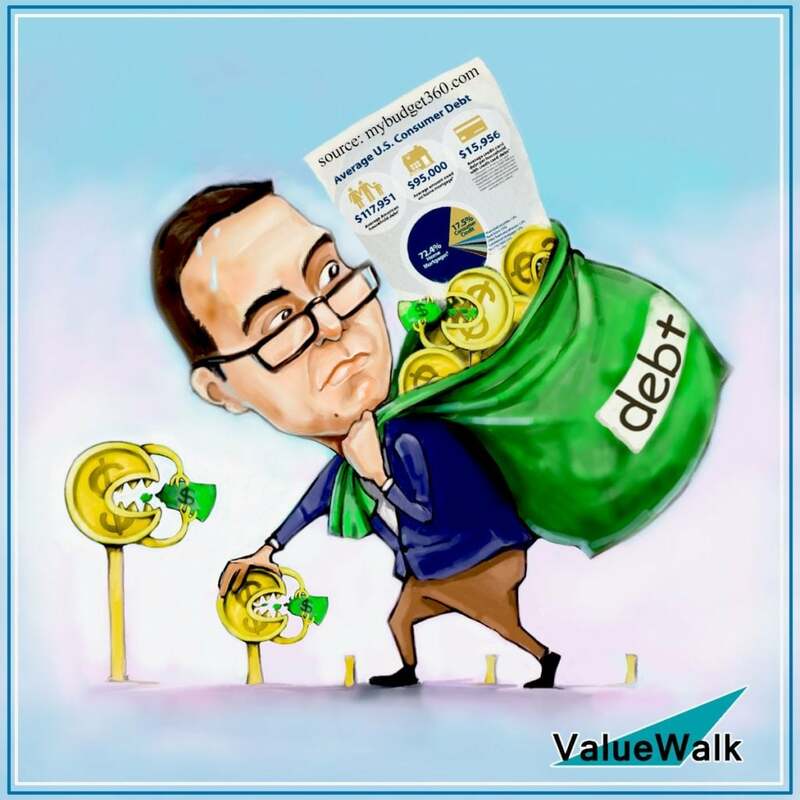 These include threats of a global trade war, rising energy prices and interest rates, and debt – a whole mountain of debt which thanks to the free money have gotten significantly larger since the financial crisis 10 years ago. To put it in perspective, the U.S. stock market is currently valued at $30 trillion dollars, while the bond market alone was priced at more than $40 trillion. Now, if this was the balance sheet of your business and you went to the bank for a loan, you probably would not get approved. However, money keeps flowing into high-yield bonds including the corporate debt markets.This means that investors (i.e. pension funds, universities, and even retirees) are taking on riskier investments in the search for returns. If this doesn’t scare you, then read on as we explore how the corporate debt bubble could destroy the economy. As you probably know a stock is a bet on a company, while a bond is an obligation to repay debt. As such the bondissuer is expected to repay the bondholder the principal as well as making regular interest payments. In addition, bondholders are usually the first to get paid when, or if, a company files for bankruptcy. But, some observers have noted that over the last decade bonds have become mispriced. This means that investors are underestimating the risk they are taking on when purchasing these instruments. In many ways, this is just as bad as what happened during the financial crisis as investors bought into mortgage-backed securities which they mistakenly thought were backed by high-quality loans instead of riskier subprime loans. While the impact isn’t really felt when times are good, mispricing bonds can have catastrophic consequences when the defaults start to pile up. If you are a small business owner, then think of it this way; you are in the market for bookkeeping services for small businesses but instead, you end up engaging a Big Four auditor to look at your books. Not only will they not understand the nature and scale of your business, but you will end up being out a lot of money. Now, let’s look at what this means for the broader economy. According to a recent report from the International Monetary Fund, the current run-up in corporate debt is “fueled by excessive optimism among investors”. Sound familiar? This is a classic sign of a bubble and it is a reason why many are beginning to sound alarm bells.This includes William D. Cohan, a former investment who was recently interviewed by Knowledge@Wharton and Warren Buffett. If they are correct, then investors large and small could be big losers as much of what they have invested could evaporate. While you might be thinking that this won’t impact you because you are not investing in corporate bonds you could be wrong. Here’s why. First, the companies under the most risk could be your employer or a key customer. In this case, you could lose your job and that would have a direct impact on both you and your family. Second, pension funds are big investors in corporate bonds and this could be putting how you plan to pay for your retirement at risk without even knowing it. The reason why these funds invest in corporate debt is simple – the returns compared to the “risks”. When priced correctly bonds are a low-risk investment, even corporate bonds. Add to this the higher interest rates they pay to attract investors and one cansee why they would choose to make these investments. Third, the mutual fund you have invested in as part of your 401(k) could be investing in corporate bonds. This is especially true if it is a bond fund and as such, you might want to check the investment documents of your mutual fund to see where your money is going. What does this mean for the broader economy? As mentioned, the bond market (i.e. debt) is larger than the stock market, which by the way is larger than the economy. If the bond market were to drop by ½ percent, then would be equal to a roughly 1 percent drop in the economy. While this is small compared to how much GDP declined in the fourth quarter of 2008, it would be enough to trigger a recession and possible broader losses in the bond market. As such, the corporate bond market bubble could destroy the economy and bring an end to 10 years of growth.